Risk of autism is NOT increased with "too many vaccines"
But one of the enduring myths of the vaccine denialist crowd is that it’s not just MMR vaccine that causes autism, but it’s the number of vaccines of all types that are given to children in a short period of time (pdf). Even though the best scientific evidence supports the hypothesis that vaccines do not cause autism, approximately one-third of parents continue to express concern that vaccines may cause autism, and nearly 1 in 10 parents refuse or delay vaccinations because they believe it is safer than following CDC vaccine schedule. 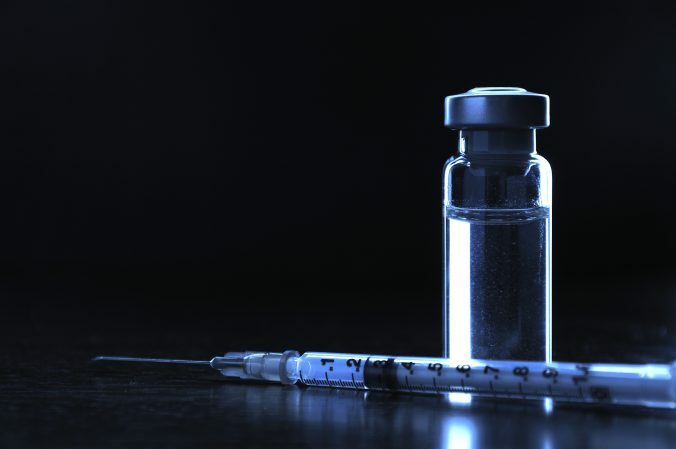 A new study published this week, debunks the concern that there are too many vaccines administered to children during the first 2 years of life. A primary concern is the number of vaccines administered, both on a single day and cumulatively over the first 2 years of life. The researchers analyzed data from 256 children with autism spectrum disorder (ASD) and 752 children without ASD (born from 1994-1999) from 3 managed care organizations, which often have the best medical records to analyze. They examined each child’s cumulative exposure to vaccine antigens (which induce the immune system to fight the particular disease), along with the maximum number of antigens each child received in a single day of vaccination. The researchers determined the total antigen numbers by adding the number of different antigens in all vaccines (MMR has three for example) each child received in one day, along with the total number of all vaccines each child received up to 2 years of age. The authors found that the total antigens from vaccines received by age 2 years, or the maximum number received on a single day, was the same between children with and without autism. Moreover, when comparing antigen numbers between the two groups, no relationship was found when they evaluated the sub-categories of autistic disorder and ASD with regression analysis. The researchers firmly concluded that there is no association between receiving “too many vaccines too soon” and autism. Although the current routine childhood vaccine schedule contains more vaccines than the schedule in the late 1990s, the maximum number of antigens that a child could be exposed to by 2 years of age in 2013 is 315, compared with several thousand in the late 1990s. For example the older whole-cell pertussis vaccine contained over 3000 different antibodies, whereas the new acellular vaccine, a part of DTaP, contains fewer than 6. And of course, the ingredients in the vaccines, which vaccine denialists claim are toxins that cause autism, are also vindicated, because the researchers just didn’t find an epidemiological link between vaccinations and autism. A child breathes about 5 liters of air per minute (or about .005 cubic meters), so a few hundred thousand viruses and bacteria are inhaled every minute. And the researchers discovered that many were unknown species, so the immune system has to adapt to them with each breath. Thus, the 315 antigens from vaccines (depending on the age of the child and the number of different flu vaccines that they’ve received) is not even a significant number. It barely registers on the immune system’s massively powerful ability to deal with an incredible number of antigens. There is no evidence whatsoever that vaccines cause autism. There is no evidence that “too many vaccines” cause autism. None. But we’ll keep wasting millions of dollars trying to disprove a fraudulent claim. Thanks Andy. Kennedy A, Lavail K, Nowak G, Basket M, Landry S. Confidence about vaccines in the United States: understanding parents’ perceptions. Health Aff (Millwood). 2011 Jun;30(6):1151-9. doi: 10.1377/hlthaff.2011.0396. PubMed PMID: 21653969.